Video and setlist from The Eltham Hotel!! Had a great time at The Eltham Hotel last night!! Of note in the setlist is the live debut of a new song that I’m finishing up in the studio at the moment with the Szkup, Lundgren, Leeflang, Szkup album called “I Will Wait For You” – although I wrote the basis of the melodies in the song, there is definitely a reason why Rob is the singer on the song, and it was no easy task trying to sing his parts I can tell you haha! Some new live appearances and more!! Hey friends, hope all is well out there!!? As of today, Mr Rob Lundgren sang his final stuff for the next album and it’s sounding killer!! Now we’re at the stage of Skube and myself adding / tweaking guitar bits before mixing and mastering gets underway. Too early to say when this baby might be released, but I’ll be sure to keep you posted!! I’ll be playing live acoustic at The Eltham Hotel, here in Melbourne on May 27 at 8pm!! Click here for directions and note that there is very likely to be more events happening that same week. 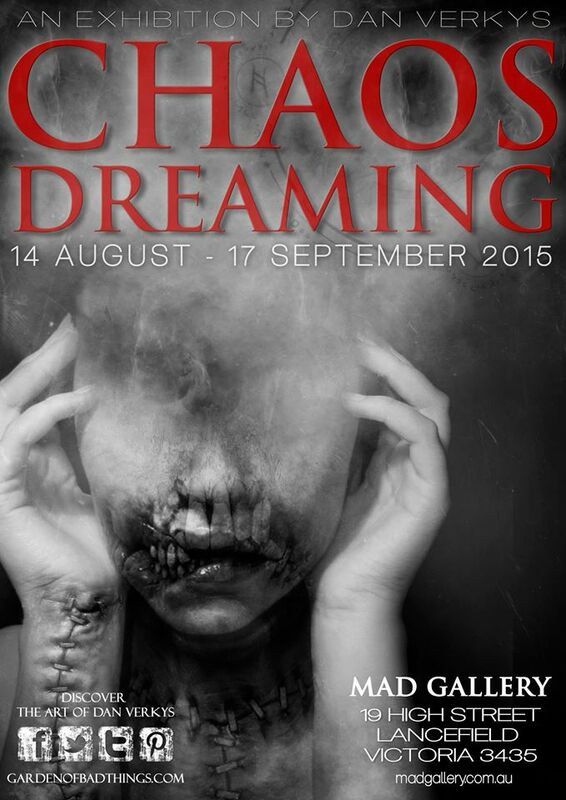 Also, I was recently asked by my mate Dan Verkys, the fantastic fellow that does the artwork on music releases for me if I’d like to play some tunes at his forthcoming exhibition called Chaos Dreaming, which is running at the Mad Gallery from August 16 – September 16. You should definitely make sure you get along to this if you’re in Victoria over that time. This man is an amazing talent!!!! Click here to RSVP via the Facebook event! New video – Jamming some Bumblefoot!! Jamming on the end of the great Bumblefoot song “Don’t Know Who To Pray To Anymore” for some fun on a leisurely Sunday evening!! The last day of the year as as good a day as any for some video action right??!! Here’s the official video for “Ascend”. 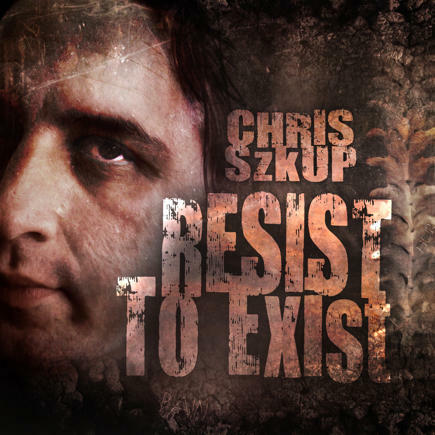 This track is from my “Resist to Exist” album that came out in August 2014, and features my bro Mathew Szkup laying down the smack, and a cameo from Dennis Leeflang on tribal drums. Hope you enjoy!! Some guitars to end the year!! I have a few days of guitar tracking for the next album this week which I’ll be documenting on my Youtube channel – this is all for the next album that is due out around July / August next year and will feature Rob Lundgren (vocals), Mathew Szkup (guitars) and Dennis Leeflang (drums) along with myself. Stay tuned as there’s lots more to come! New songs – Line up / Video!!! When I started getting these tunes that you’ll hear soon together it was pretty clear very fast that I didn’t have the nads required to do the vocals justice. In the past I had successfully found killer singers from little old Youtube and thought I would try it again. Eventually I came across this guy by the name of Mr Rob Lundgren from Sweden, and hoooooly shiiiiit – what a voice!!!! Going through his channel I saw amazing diversity – and with every different song and style I watched, I was just blown away how much he was killing it no matter what!!!! Upon getting in touch I found him to be a fantastic guy also, and we banged out the tracks for the EP real fast, with ease. Such a pleasure! The making of “Resist to Exist”!!!! Resist to Exist out now!! As well as being available in the Store here on site, you can also purchase from the following places and we hope you will!! Bandcamp – High res purchase options here and you can also stream the album in full!! Also, did you catch the full length stream of “Friendship Song” recently? Resist to Exist – Out 8.8.14!!! That’s right folks, the new album “Resist to Exist” is officially being released on August 08, 2014, but you can jump the gun by ordering through the store here right now, and depending on what time of day it is in Australia at the time of your order, you could very well get a link to download the new album right away!!! Not to mention that you’ll also qualify for a 25% discount on any other item of your choice from the store – how good is that?? Head on over there now to jump on this offer while it lasts!!! New music!!!! Full track – “Friendship Song”!!!! Here you go folks – ENJOY!!! !